NorthWestern Energy on Friday painted a bleak picture of energy supply in the Pacific Northwest in the coming years, saying a shift away from coal will leave the region facing peak power shortages as early as 2021 and position Montana as a net importer of energy. The utility is set to submit a draft of its new Resource Procurement Plan to the Montana Public Service Commission in February, and it has placed a heavy and costly bet on natural gas-powered generation as a major source of reliable energy while replacing the slow retirement of coal. During a hearing Friday before members of the Montana Legislature and the PSC, however, some called the utility’s plan shortsighted, saying it fails to address the realities of climate change, the demands of the Pacific Northwest energy market, and the global shift away from carbon-based fuels. Friday’s hearing offered a public glimpse into NorthWestern Energy’s vision for the future and how it builds its energy portfolio. It also struck to the heart of climate change and the role Montana will play in addressing it as the region replaces coal and other fossil fuels as the primary sources of energy. Despite such speculation, coal’s fate is likely sealed and the next chapter of energy in Montana has yet to be written. The question is, will it look to natural gas or will it transition to clean, renewable sources? Stimatz said 3,000 megawatts of coal-fired power will be retired in the coming years, but the region will need 8,000 megawatts of reliable power by 2030. If all the coal is retired by then, it would need 16,000 megawatts to replace that coal. NorthWestern believes natural gas-fired power is the answer, and it’s willing to invest as much as $1.3 billion to build the stations to provide that power. While the company called that figure misleading, it didn’t deny its plans to bring new gas-fired power plants online as part of its future energy mix. Stimatz added that gas-fired power isn’t out of line with global efforts to reduce carbon emissions. That reliability is central to NorthWestern’s plans to invest in coal-fired generation as part of its future energy portfolio. While deregulation of the energy market left consumers facing volatile prices 25 years ago, today they’re facing a greater risk, according to John Hines, vice president of energy supply. With more than 3,000 megawatts of coal-fired power set to retire from the market, Hines suggested peak capacity shortages could begin as soon as 2021. When Colstrip One and Two shut down, it will remove 700 megawatts of baseload capacity from the energy market, he added. Both units are obligated to close in July 2022. But others, including Malek, said Montana is part of the regional energy market, and it can’t deny the larger shift to carbon-free sources. Puget Sound Energy is pulling out of Colstrip in 2027, as is Avista and PacificCorp. Other energy companies, including Portland General, are pulling out in 2030. If Montana maintains the status quo and coal remains central to NorthWestern’s portfolio, it could leave “a Montana company trying to run Colstrip on its own until 2040,” Malek said. That could saddle ratepayers with higher energy costs and leave Montana in the past while the region moves to the future. While computer models can attempt to predict future energy needs and peak demands, others said, it cannot factor in the impacts of climate change. The governor of Washington has already pledged to rid his state of coal by 2025 and cut fossil fuels. The Washington Legislature is likely to pass a bill stating as much. 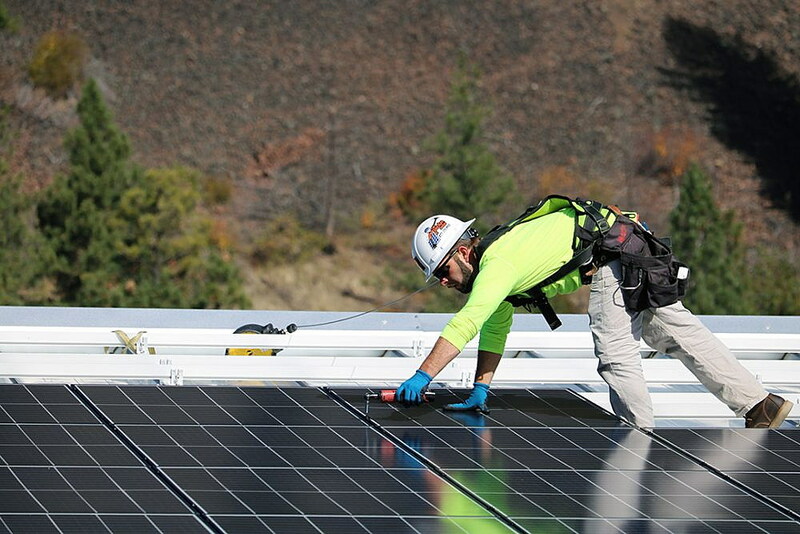 For Montana to pretend otherwise, proponents of renewables said, is foolish.